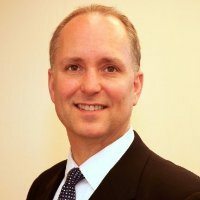 Greg Baroni is founder and CEO of Attain as well as the chair of the WashingtonExec Leadership Council. He served in a leadership capacity at Unisys Corp., in both an officer role as a corporate senior vice president and in an operational leadership role as president of Federal Systems and Global Public Sector. In these roles, he was responsible for a worldwide business composed of six geographic regions and the U.S. Federal Systems group. Under his leadership, these business units achieved extraordinary results. During his tenure, the Federal Systems group doubled its revenue while achieving industry standard operating margins. Read about Baroni’s 2012 Executive of the Year win from the Greater Washington Government Contractor Awards here on WashingtonExec. We also interviewed Baroni about engineering a “built-to-last” business. Mark Chadason is chair of the Navigating to Industry Seminar Council. Previously, he was senior vice president of the National Security Group for MacAulay-Brown, Inc. In this role, Chadason was responsible for managing and cultivating relationships with national intelligence, homeland security and defense intelligence customers throughout the United States. Prior to joining MacB, Chadason was SVP of the Space, Security, Cyber and Intelligence business unit at ManTech International. As head of SSCI, Chadason managed four major divisions that focused on mission support to various intelligence community agencies and several military commands. In this position, Chadason was responsible for 1,300 employees with annual revenue of over $250 million. He also served as executive officer of the Special Programs Oversight Committee on ManTech’s board of directors, where he was responsible for the oversight of a large number of special access and highly sensitive or hazardous programs. Chadason is a member of the INSA Executive Committee. Orlando Figueredo serves as vice president and segment leader for Consulting and Intelligence business unit within the U.S. public sector region of Enterprise Services. He is responsible for managing business performance and ensuring delivery excellence for intelligence community accounts, the integration of consulting services across the USPS account portfolio and the development of growth strategies that expand market share through best-in-class solutions. Figueredo joined HP in 2001 and has held a number of key sales, management and operations positions, and leading efforts to provide technology consulting and thought leadership across market-leading business streams such as cloud, data center transformation and green IT. Figueredo joined HP after a 22-year career in the U.S. Air Force, where he served as a communications computer officer. During his Air Force career, he occupied notable leadership positions including staff assignments to the National Security Council leading research and development for the Systems and Technical Planning Directorate; and chief of Information Services at the USAF Special Operations School. He retired from the USAF in 2001. Rick White serves as the chief technology officer for Sotera Defense Solutions responsible for architecting and implementing industry-leading IT solutions to enhance the company’s operations. He leads the development of innovative and differentiated solutions to assist Sotera’s customers in meeting their mission-related information and technology challenges. A retired Navy captain, White has over 35 years of experience working in national security. Prior to Sotera, White was CTO at Wyle Information Systems, tasked with developing go-to-market solutions. 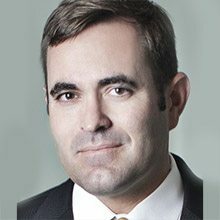 Prior to Wyle IS, White was VP and managing partner for the navy, justice and intelligence community accounts with Gartner Federal Consulting. White has directed the operations of the U.S. Navy Headquarters Network and assisted in developing requirements for the Navy Marine Corps Intranet. Following retirement from the U.S. Navy. White managed the operations of the Defense Advanced Research Projects agency IT infrastructure and developed a business intelligence solution for the Office of Naval Research. Dr. Gary Shiffman created Giant Oak to deliver social science-driven innovations in big data environments to advance his work countering organized crime, insurgency and terrorism. In addition, he is managing director of the Chertoff Group, a global strategic advisory, M&A advisory and security services firm. He also teaches, writes and runs research projects as a faculty member of Georgetown University. Previously, Shiffman served as SVP and general manager at L-3 Communications. While at L-3, Shiffman developed a global strategy and an organizational design for a $4 billion business group to diversify into new security markets, and he turned around a $100 million business unit by focusing business structure, processes and human capital on risk management and resiliency solutions. As the chief of staff at Customs and Border Protection, he helped manage the most complex unification under DHS creating the largest law enforcement agency in the U.S. Shiffman led many border security and facilitation policy initiatives, including the Secure Border Initiative Working Group, which successfully re-engineered border enforcement and security processes. He also supported the development of the department’s first framework for risk metrics. John Sutton is SVP and general manager of Vencore’s Defense Group. The group delivers software, engineering, logistics and training solutions and services to DHS, Army, Navy, Marine Corps and select civilian and defense agencies and operations. With over 1200 employees the group is delivering mission results around the world. 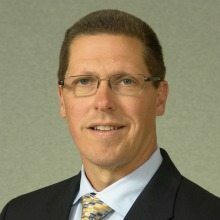 Prior to Vencore’s acquisition of QinetiQ NA in May 2014, Sutton was the EVP and GM for Mission Solutions servicing civilian, homeland, intelligence and defense programs and acting president of Cyveillance Inc. Prior to his operational role, Sutton led QNA’s business development team. Prior to QinetiQ, Sutton led federal business for Global Crossing, which was a rapid-growth element highly valued in the 2011 sale of GLBC to Level 3 Communications. Sutton has extensive experience in systems integration, software, telecommunications and cybersecurity services to federal and commercial clients. Sutton began his career in 1981 as a Merchant Marine Officer serving as third, second and chief mate on U.S. flag ships. From 1986 to 1996, Sutton worked at PRC, Inc. and served in various roles during his 10 years there. He directed ship design, repair and sea trial services to the Navy’s AEGIS shipbuilding program. From 1996 to 2002, Sutton served as group vice president and general manager for AT&T Government Solutions/GRC International. He was responsible for P&L, business operations and business growth in DOD and intelligence markets. 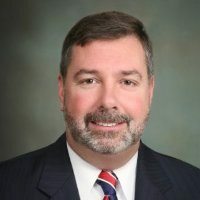 From 2002 to 2004, Sutton served as VP for Integic Corp. in Chantilly and directed marketing, sales and delivery of business software products and services to the Armed Forces. 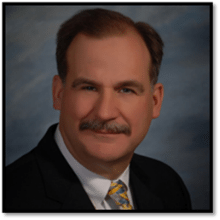 From 2004 to 2010, he served as SVP for the Defense Intelligence Business Unit at ManTech International Inc.
Sutton has served on George Mason University’s Management Advisory Board, Blue Canopy Advisory Board and the Executive Committee of INSA. 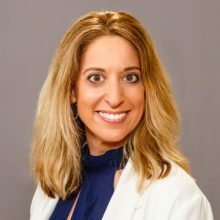 As a partner with IBM Global Business Services, Lori Victor Feller serves as the U.S. public sector and health care Apple partnership leader. In this role, she is responsible for the Apple relationship and building IBM’s capabilities, sales and delivery organization for this strategic alliance across the federal, state and local government, education and health care industries. Previously, Feller served as the first public sector IBM interactive experience and mobile/social business leader, establishing the sales and delivery organization for this important new and emerging business. With a strong background in business transformation and organizational change management, Feller specializes in introducing new ways of working, leveraging emerging technologies, resulting in greater innovation, efficiency and effectiveness. She pays particular attention to the challenges that digital transformation and change can bring to an organization’s people, processes, customers and stakeholders. Feller marries this expertise with IBM’s deep capabilities in analytics, cloud and complex systems integration. In her current role, Feller works globally to establish IBM’s new industry market applications for the public sector. She works with enterprises to identify industry pain points that can benefit by infusing mobile technologies and with the IBM teams to then develop and market these new mobile applications. Additionally, she leads project teams to design and implement mobile applications at a number of complex public sector organizations. In 2015, feller was nominated and inducted as a member of IBM’s Industry Academy for government and emerging technologies. As a member of this prestigious IBM organization, she collaborates globally across IBM business units to develop new solutions for our clients, develop industry talent and inspire others to grow their personal eminence. Feller serves on the American Council for Technology and Industry Advisory Council Working Group on Advanced Mobility. Additionally, she is a certified project management professional and a trained facilitator, experienced in facilitating large, global audiences on complex topics as well as in training others in facilitation tools and techniques. A 26-year Unisys veteran, Mark Cohn brings innovation to the marketplace with a passion to expand the mission impact of IT by building comprehensive systems that don’t fail. 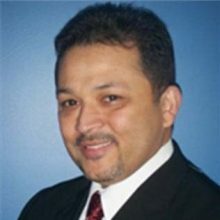 As CTO, he directs portfolio strategy and solution development for major Federal Systems programs and for years, he was the VP for enterprise security at Unisys with global responsibility for security solutions and services across commercial and public sector marketplaces. 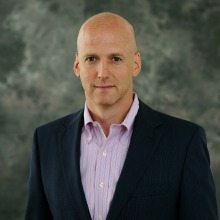 Cohn’s experience includes rapid deployment of national scale high-availability systems to manage distributed work including secure applications on untrusted platforms and networks, workforce automation including performance management, remote equipment monitor and control, biometric identification and credentialing, and high-volume transaction processing systems with secure mobile data management. Cohn is a Fed100 winner and a thought leader in the federal IT space. Tom Suder is a respected thought leader in the Federal IT community, Tom Suder serves as President and Founder of Mobilegov, a government integrator that provides cutting-edge mobility solutions to its customers. Tom is also President and Founder of the Advanced Technology Academic Research Center (ATARC), a non-profit organization that introduces innovative technology from academic research labs to the Federal government and private industry. In addition, Tom serves as Strategic Advisor for the University of Central Florida’s Institute for Simulation & Training (IS&T), an internationally-renowned academic research center. In 2013, Tom was selected for the Federal 100 Awards, a prestigious honor that recognizes government and industry leaders who played pivotal roles in Federal IT and made a made a difference in the way technology transformed the government. In addition to the Fed 100, ACT-IAC honored Tom’s work in the area of government mobility by naming him the Industry Contributor of the Year. From 2011 to 2013, Tom served as Co-Chair of ACT-IAC’s Advanced Mobility Working Group, an influential committee that helped shape the mobility component of the Digital Government Strategy. Tom has been a lead contributor on several other high-profile government collaboration initiatives. In 2012, Tom was a lead organizer of the ACT-IAC Mobility Forum, which included several members of the Presidential administration responsible for the creation of the Digital Government Strategy. In 2011, he served as ACT-IAC Working Group Leader on the Myth Busters campaign, which was Point No. 25 in Federal CIO Vivek Kundra’s 25-point IT Management Reform Program. In 2010, he served as the ACT-IAC Working Group Leader for the Better Buy Project – an idea he proposed – which makes government acquisition more open and transparent by using social media and collaboration tools. 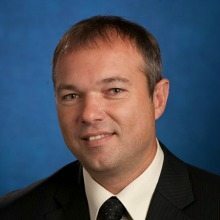 Edward Swallow is vice president of Vaeros, a division of The Aerospace Corp. that combines deep technical expertise with industry-leading innovation to help our customers solve some of the world’s most complex systems engineering and integration challenges in high-consequence environments. Swallow was appointed to this position in May 2015. He directs all civil and commercial business at Aerospace and is responsible for contracts valued at over $80 million annually. Key customers include the NASA, the National Oceanic and Atmospheric Administration and a wide number of other civil and commercial organizations in the United States and overseas. In addition to his responsibilities in Vaeros, Swallow is corporate director of government relations. Prior to joining Aerospace, Swallow was vice president, business development for the Federal and Defense Technologies Division at Northrop Grumman Information Systems. He was responsible for developing win strategies for the division’s captures and for all activities associated with the identification, qualification, shaping, and pursuit of new business opportunities with both current and prospective customers. Previously, Swallow worked for Steven Myers and Associates, Space Applications Corporation, Logicon Corporation, and most recently served as the president and CEO of Pegasus Strategic Advisors, LLC. Swallow is a retired U.S. Air Force Reserve officer who served in various leadership positions, including space systems acquisition and operations. Swallow has a bachelor’s degree in physics and astronomy from the State University of New York–Oneonta, and a second in electrical engineering from Syracuse University. He has a master’s degree in systems management for the University of Southern California. He is a graduate of the Air Force Squadron Officer’s School and Air Command and Staff College, and the Defense Acquisition University’s Systems Acquisition Management for Flag Officers course. 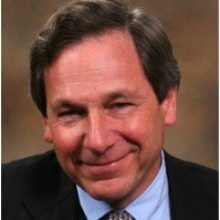 Steven Woolwine is responsible for driving the business strategy and alignment of human capital as a Senior Vice President Human Resources for URS Federal Service, Inc. (acquired by AECOM in October 2014). He is an accomplished human capital executive with more than 20 years of experience across a number of industries, specializing in leadership development, mergers/acquisitions, talent acquisition, employee relations, and compensation planning and design. Woolwine originally joined URS in 2011 as part of the Apptis, Inc. acquisition, where he served as the Senior Vice President of Human Resources & Recruiting. While at Apptis, he was the HR project leader of the M&A transaction throughout the life cycle of the deal, including due diligence, developing HR solutions and planning & executing the integration phases. 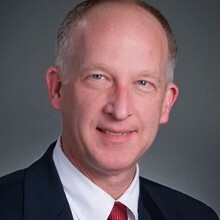 Prior to joining Apptis, Mr. Woolwine was the Vice President of Human Resources for Stanley Associates, Inc., where he played a key role in the due diligence and integration of three acquisitions, its initial public offering process, and in the implementation of its Human Resource Information System (HRIS) and applicant tracking system. Additionally, Mr. Woolwine was an instrumental team member in Stanley attaining and retaining for three consecutive years, Fortune Magazine’s 100 Best Companies to Work For distinction. 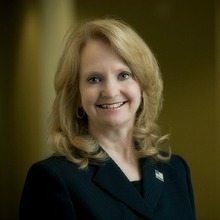 Kay Curling is responsible for defining, developing, and implementing strategic human resource initiatives aligned with Salient Federal Solution, Inc.’s (Salient) core values, mission, and vision. She leads all aspects of the company’s human resources and is responsible for formulating the company’s human resources strategy and providing leadership and direction as a partner to the CEO, CFO, COO, and senior leadership of the company. Curling previously served as the Vice President of Human Resources at Serco Inc., where she led all initiatives and programs associated with employee benefits and organizational excellence. 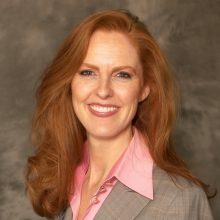 While at Serco, she designed and implemented workforce strategies for a diverse business and employee base within a complex environment including multiple unions, Davis Bacon and Service Contract Act employees, international assignments and employees located at more than 800 sites across the U.S.
Aside from overseeing the company’s $50 million employee benefits annual spend, Curling has also led organizational excellence and cross-functional teams for the Journey to Excellence initiatives. During her first year at Serco, she became the first recipient of the CEO’s Journey to Excellence Award. Additionally, under her leadership, the benefits team was awarded the North American Pulse Award for Excellence in 2010. Learn more about Curling, and her 19 successful M&A transactions, by reading our interview on WashingtonExec. Chris Smith brings 20 plus years of government and technical experience and a strong background in cloud, mobility and security to AT&T Government Solutions where he leads a growing team of 200 plus technologists charged with developing AT&T products and services to meet the unique needs of the federal marketplace. Prior to his current leadership role at AT&T, Smith was the chief technology and innovation officer with Accenture Federal Services. 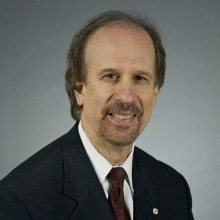 In this capacity, he was responsible for developing the technology agenda for Accenture’s federal business portfolio and overseeing the services provided by Accenture to federal clients in strategic areas such as secure cloud computing, big data, logistics and supply chain and cost reduction. Previously, Smith served as CIO of the U.S. Department of Agriculture, where he led one of the largest federal government transitions to cloud computing. His federal government experience also includes senior positions with the General Services Administration and the Internal Revenue Service. During his military service, Smith led multiple missions around the globe as a Joint Tactical Communications Officer in the Air Force, Air National Guard and Army National Guard. Now retired, he also served as a communications officer in the Reserve Air Force. Smith has also served as a co-chair of the Best Practices Committee for the Federal CIO Council and government chair of the American Council for Technology/Industry Advisory Council’s Executive Leadership Conference. In 2011, Smith was named Federal CIO of the Year by Government Executive magazine. Federal Computer Week magazine selected him as a Federal 100 honoree in 2011 and 2012. Also in 2012, he was named a premier 100 honoree by Computer World magazine. Smith received his B.A. and M.P.A. from the University of South Florida and also holds a master’s degree in Management Information Systems from George Washington University. Sumeet Shrivastava joined ARRAY as president in December of 2008. In this capacity, Shrivastava is responsible for providing corporate leadership to ensure customer and employee satisfaction; develop strategic plans tat advance the company’s mission and objectives; and promote revenue, profitability and growth. Prior to joining ARRAY, Shrivastava spent 8 years in progressive management capacities at Keane, Inc., a $1 billion IT services firm that employs 14,000 worldwide. His most recent role at Keane was as SVP of public sector solutions. Prior to his time at Keane, Shrivastava served as the EVP and COO of ANSTEC, a successful federal and State Government contractor. He helped ANSTEC grow its revenue to over $65 million and successfully graduate from the 8(a) set-aside program for Federal contractors. He later worked on behalf of shareholders and employees leading the effort for ANSTEC’s acquisition by Keane in December 1999. Shrivastava has served as a member of George Mason University’s Diversity Advisory Board. He also served on the board of directors of the Northern Virginia Technology Council and is a charter member of TiE-DC. Ravi Dankanikote is the Senior Vice President of the Enterprise Solutions and Services business group at CACI International. In his capacity, he leads a team of senior executives in new business growth, mergers and acquisitions, client engagement, and capture and proposal strategy across the DoD, Intel, and Federal Civilian markets. With over 20 years of GOVCON experience, Ravi has captured multi-million dollar strategic bids, and has guided deployments of several market-disrupting IT solutions. As a leader in the Federal technology evolution, Ravi is a trusted advisor to his clients and Industry peers. He sees each new business pursuit as an opportunity not only to broker strategic growth for CACI, but also as a means of increasing Government efficiencies to best serve its constituents. As an engineer by formal training, Ravi holds a Master’s degree in Computer Science from Shippensburg University (PA); and B.S. in Mechanical Engineering from Bangalore University (India). Ravi resides in Chantilly, VA with his lovely wife Narmada, and two sons, Rahul and Karan. James Scampavia is the Vice President of Business Development at AMERICAN SYSTEMS. 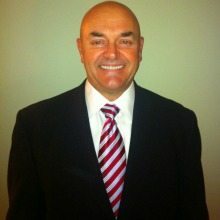 He has more than 25 years of marketing and business development experience in Federal and Local Government markets with the past 15 years in business development, working for government contractors. He has ascended through a number of roles with increasing responsibility in business development with companies such as BAE Systems, L-3 Communications, and STG. Prior to that, Scampavia held senior marketing positions with state and local entities, notably the Fairfax County (Va.) Economic Development Authority. Scampavia earned MBA from The George Washington University, and a BA from the University of California, Santa Cruz. He holds professional affiliations with AFCEA Homeland Security Committee, TechAmerica, and the Professional Services Council. Scampavia is based out of AMERICAN SYSTEMS’ Chantilly, Va. office. Haresh Bhungalia started his career in consulting, first with Hewitt Associates and then Arthur Andersen. Shortly thereafter he launched 2020 Company, LLC, initially providing technical staff to small, medium-sized business and state & local governments. The business evolved to servicing the federal government in the areas of health, education, and science. As a co-founder of 2020, he served the company in two significant areas: overall direction of business development and strategic execution of client service and operations management. Haresh and the management team built a high-quality, process-oriented organization focused on delivering business and technology solutions through consulting and outsourcing services. At the time of 2020’s successful merger with Acentia, LLC it had over 650 resources, supporting clients in the areas of custom system maintenance, systems development/integration, technology infrastructure support, and business services; including program/project management, business process support, and mission support services. Today Haresh is the CEO of @Legal Discovery LLC, a strategic, hands-on solutions provider of end-to-end eDiscovery services for the legal industry. @Legal’s CasePoint software provides a unified platform throughout the eDiscovery workflow, offering customized solutions, including: discovery consulting, data collections, analytics, processing, review, and production. Haresh’s primary responsibility is to enable continued growth and market penetration. His core focus is strategic customer engagement as well as implementing robust business development capabilities and a process oriented operating model. 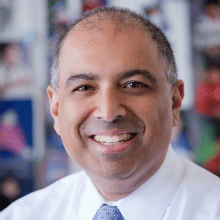 In addition to his leadership role at @Legal Discovery, LLC, Haresh focuses a portion of his efforts on early and growth stage investments, as Managing Partner at 20K Industries, LLC (a closely held family office). Current portfolio includes the following: NoMoreRack, DataRPM, BetterWeekdays (www.betterweekdays.com), Ferrate Treatment Technology, LLC, Cloud Management Software Company, Social Media Data Management Company. 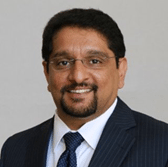 Haresh is also on the Board of Directors for DataRPM and Collabralink Technologies. As a Board of Director or Advisor Haresh lends expertise in working with current management to deliver strategic and operational excellence focused on organizational growth.n. As president of Altamira Technologies Corp., Jonathan Moneymaker has primary responsibility for corporate strategy, corporate development, business development and capture, marketing and communications, and legislative affairs. 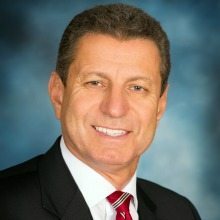 He has spent his entire career successfully growing and executing diverse portfolios of business, from start-up to Fortune 50, focused on creating value and delivering innovative solutions across dynamic commercial and federal markets and has been honored to directly support the U.S. Intelligence and Special Operations Communities throughout his career. 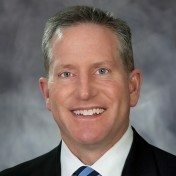 Prior to joining Altamira, Moneymaker served as General Manager of Boeing’s ~$.5B, 1000 employee Intelligence Systems Group business unit with responsibilities focused on overall leadership, business strategy and growth, program execution, and operational effectiveness of the organization, its seven acquisitions, and its global footprint. He served as the primary customer interface delivering specialized service, products and solutions to the US Intelligence Community, Department of Defense, and our international partners. Prior to his position with Boeing, Moneymaker served as vice president of Anonymizer, Inc. and led their merger with Abraxas Corp. While at Anonymizer, Moneymaker’s core focus was driving business growth by aligning the company with the intelligence community and ensuring critical program and cross-organizational execution. Moneymaker also served in Ocean Systems Engineering Corp SMART division, where he managed a C4ISR and Anti-Terrorism Force Protection portfolio, and participated in the acquisition of the company to Apogen Technologies. Moneymaker holds a bachelor of science in Industrial and Systems Engineering from the University of Southern California, is a graduate of senior executive programs from Kellogg School of Management, Rady School of Management and Harvard University and serves as a member of the board of directors for the University of Southern California’s Daniel J. Epstein Industrial and Systems Engineering School. 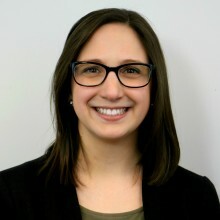 Lisa Shea Mundt is a Senior Proposal Specialist at AOC Key Solutions Inc. (KSI), a consulting firm specializing in proposal development, capture, and market strategy services for government contractors. She has worked in an array of roles such as Proposal Manager, Proposal Coordinator, Technical Writer, Technical Editor, Compliance Manager, Volume Lead (Technical, Resumes, Staffing, Past Performance) and Business Developer on Federal Proposals over the last 5 years. 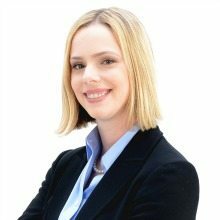 As a consultant, she works with a variety of clients to write, manage, and assemble winning federal acquisition efforts. She is responsible for overall leadership, management, and direction of the range of activities associated with the proposal development process from pre-RFP to final production, working in close conjunction with her clients. Through the KSI Business Development Institute, Lisa also trains clients on the various components of the Federal Acquisition Business Development Lifecycle such as Capture Management, Business Development, and Proposal Management. Lisa received her Bachelor of Arts (2011) and her Master’s (2013) in Writing, Rhetoric, and Technical Communication from James Madison University, where she also taught GWRTC 103 to first year students. In addition, she is a Green Belt in Lean Six Sigma. Lisa currently serves on the Washington Executive Millennial Leadership Development Council. Andrea Wright is a Health IT Account Manager with more than seven years of IT business development and Health IT experience. As Health IT Account Manager at AMERICAN SYSTEMS, her role is to expand AMERICAN SYSTEMS’s current Health IT footprint as well as provide account management over the operating unit. Previously at Unissant, Ms. Wright developed new strategic teaming relationships and capture processes that resulted in more than 40% growth. She also contributed to Unissant’s placement on Northern Virginia’s Fast 50 list. She has served on more than 100 proposal efforts resulting in wins of more than $275M. Ms. Wright served on the leadership committee for the ACT IAC Acquisition Management Special Interest Group (SIG) where her idea of “Behind the Curtain”, an initiative to improve government and industry understanding, is being utilized across the Federal Government through the Office of Federal Procurement Policy. She is also an active member of the Junior League of Northern Virginia where she serves on the Communications Council. Ms. Wright graduated from the George Mason University School of Management with a degree in Marketing. Andrew Bryden is CSRA’s Chief Marketing Officer. In this role, Mr. Bryden is responsible for the development and management of the CSRA brand, employee communications, and external marketing and communications programs. Prior to joining CSRA, Mr. Bryden was the vice president of Communications & Public Affairs for SRA International, Inc. He has more than 20 years of marketing and communications experience, primarily in the defense, intelligence, health, civil government and telecommunications sectors, working across U.S. federal, business-to-business and business-to-consumer markets. Before joining SRA, Mr. Bryden was the Vice President of Marketing & Communications for Sotera Defense Solutions. Bryden has also held senior marketing and communications roles at Global Strategies Group, an integrated defense and security company, Cable & Wireless, an international telecommunications company, now part of Vodafone, and World Telecom. 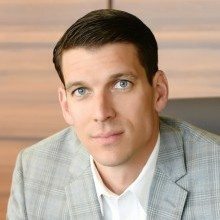 Throughout his career, Mr. Bryden has been involved in multiple rebranding initiatives for both public and private companies, merger and acquisition events and has amassed experience managing marketing and communications campaigns across North America, Europe, the Middle East and Asia Pacific. He has a bachelor of arts (with Honors) in Business Studies from the University of Teesside in the United Kingdom and is currently Co-Chair of the Washington Executive MARCOMS Council. Sheila Blackwell has both broad leadership experience and a 25-year track record as a Communications & Marketing leader in technology, government and media. She is Chief Communications Officer of Decision Sciences International Corporation, a security solutions company that markets a revolutionary scanning technology to protect points of entry around the world from nuclear, radiological, explosives and other contraband threats. Sheila is charged with advancing Decision Sciences mission by planning, executing and managing the company’s media relations, marketing communications, corporate website, trade shows and events and employee and executive communications. Prior to joining DSIC, Sheila served as Vice President of Communications & Public Affairs for SRA International, a $1.7 billion publicly-traded (NYSE) government services contractor. Sheila managed a communications/marcom team responsible for media relations, executive communications, business group communications, trade shows, collateral, advertising, internal communications, external website (SRA.com) and employee events. She served as company spokesperson, was a member of the executive team and led a team of up to 12 direct reports plus freelancers, consultants and agencies located throughout the U.S. and abroad. Prior to SRA, Sheila served as Vice President of Public Relations and Marketing for JDA Software/Manugistics, where she led the media relations and employee communications teams. During her tenure at Manugistics/JDA, she was instrumental in the market launch of a software development office in Hyderabad, India garnering significant press and attention to the company’s operations. Earlier in her career, she worked for such multinational firms as IBM (Federal Systems) where she worked in the government systems group as well as the commercial team responsible for worldwide product launches including the first ever laptop introduced into the market. At MCI Communications, Sheila supported the Chief Policy Officer and led the public policy PR team following the passage of the Telecom Act. She also helped launch telecommunication startups Teligent and StarBand. Sheila began her career as a TV news reporter in upstate New York for NBC affiliate WICZ-TV40 covering local, state and federal government news and events. She also served as a legislative aide in the New York State Assembly in Albany, New York. Sheila has received numerous corporate and industry awards for achievement in media relations and communications. She received a Bachelor of Art’s degree in Communications and Public Relations from Geneseo State College in Geneseo, New York. She serves as co-chair of Washington Executive’s MARCOM Council, a peer networking group dedicated to supporting marketing and communications leaders in their day-to-day responsibilities, sharing best practices and providing support, tips and tools and advancing the prominence of marketing leaders in the Washington Metro Area. Alan Hill has more than twenty-five years of experience in implementing integrated communications campaigns and developing image-branding strategies. Hill is Senior Vice President of Corporate Communications and Government Relations at Serco. Hill manages the Company’s external and internal communications, and executes programs that enhance the Company’s brand and reputation. He oversees media relations, marketing communications, government relations, employee communications, and community support activities. In 2002, Hill established SI International’s investor relations department during the Company’s initial public offering (IPO). He interfaced directly with the Company’s stockholders, the investment community, and financial analysts. Prior to joining Serco, Hill was Director of Public Relations for Intermedia Communications, where he served as company spokesman for one of the nation’s fastest growing telecommunications companies during its $4 billion merger. Hill also held management positions in public relations and business marketing communications at Bell Atlantic before, during, and after its merger with NYNEX. At Bell Atlantic, he received the “Leadership for Excellence” award and was selected to the company’s “Leadership for the Millennium” program. Before Bell Atlantic, Hill worked for a U.S. Senator in various senior-level communications positions, including National Director in the Senate Office, Director at a Senatorial Committee, and Deputy Campaign Manager. In these roles, he created over 2,200 theme-oriented media events across the country that supported the Senator’s key policy initiatives and campaigns. Over the years, Hill has won numerous awards in corporate communications. Hill holds a bachelor of business administration degree in business management from Texas A&M University. Gary Slack is President and Chief Executive Officer of XLA. Under his leadership, XLA is a leading provider of program lifecycle management, financial management, engineering & technical solutions and international program support services for the federal government. Gary has more than 30 years of progressive experience in the government contracting industry ranging from professional services, information technology, electronics, and platform production. Gary previously served as President and Chief Operating Officer of QinetiQ North America (QNA). In that capacity Gary was responsible for the Company’s overall day to day operations. He originally joined QNA as Executive Vice President and Chief Financial Officer. Prior to QNA, he served as president of BAE Systems’ U.S. Combat Systems business where he oversaw all company operations involving more than 9,000 employees across 16 states. 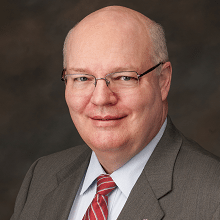 Gary joined BAE Systems in 1999 as vice president of finance and controller, of the U.S. subsidiaries of heritage BAE Systems North America and was promoted to vice president of finance and chief financial officer in 2003. During his tenure at BAE Systems, the company acquired multiple businesses in the areas of diverse services, information technology, information solutions, electronic solutions, platform production programs, and experienced overall revenue growth from $2 billion to approximately $20 billion. He served on the board of directors of BAE Systems AB (Sweden) from 2007 and remained as its chairman until March 2009. He also served as a key industry advisor on the FNSS (Turkey) joint venture board. Prior to joining BAE Systems, Gary was the director of group finance for TRW’s Systems & Information Technology Group. He has also held positions with BDM International, Inc., Honeywell Federal Systems, Inc. and the Virginia Department of Taxation. Gary holds a Bachelor of Science degree in Business Administration (accounting) from Longwood University in Virginia. He is a member of the corporate advisory board for the College of Business and Economics, Longwood University, serves on the advisory boards of JWF Industries and LemonFish Technologies, and is a board director of Enterprise Ventures Corporation.